In the year 1997, the Robinson family takes off in the Jupiter 2, America's first colonization mission to Alpha Centauri. However, a spy for a foreign country, Dr. Zachary Smith, sneaks on board and sabotages the mission by reprogramming the ship's robot to destroy the Jupiter 2 after launch. But Smith becomes trapped on board, and the Robinsons save the ship, but not before it's guidance system is damaged, and the Jupiter 2 becomes lost in space. 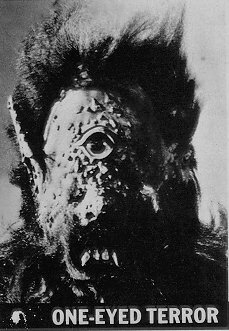 The Jupiter 2 is pulled into a giant alien spaceship, where they encounter an advanced race of bubblelike creatures. John and Don search for maps and equipment, while Dr, Smith and Will get into trouble. While outside the ship, Prof. Robinson's parajets misfire, and he plummets towards the planet below. 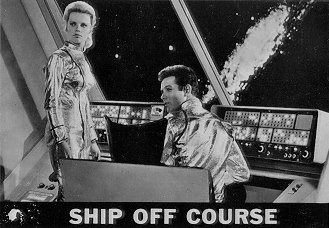 Don attempts to follow in the Jupiter 2, but Dr. Smith's sabotage causes the retro-rockets to fail, and the ship crash lands. They then search the planet for Prof. Robinson, using the space chariot. John discovers that the planet they are on will soon move farther from its sun and freeze. The Robinson's attempt to abandon the ship and move South in hopes of surviving. They encounter a carnivorous Cyclops who impedes their escape. John discovers that the planet's orbit will again carry it back towards the sun. 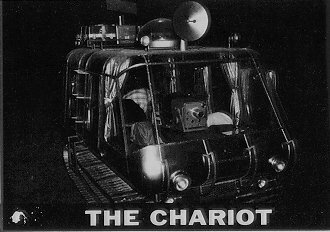 The family heads back towards the Jupiter 2 in the Chariot, but encounter earthquakes and storms. They cross an island sea to reach their ship. The Robinsons find astronaut Jimmy Hapgood, also lost from Earth, on the planet. They help him repair his ship, which is in better condition, so that he can return to Earth. Mr. and Mrs. Robinson ask him to take Will and Penny with him, but Dr. Smith plots to have himself taken instead. However, Hapgood enjoys life in space, and no one returns to Earth. Penny plays with an "imaginary" companion, actually a disembodied life force living below the surface. When Dr. Smith accidentally injures Penny, the companion unleashes its wrath across the entire planet, until Penny intervenes and calms it down, and then it undergoes a startling transformation. Luminous aliens capture Dr. Smith, and plan to replace their burnt-out computer with his brain. However, he bargains with them, and promises them Will's brain instead. Thus they are pitted against the Robinsons. Smith eats some alien fruit before it can be tested, and grows into a giant. Convinced that the Robinsons were trying to kill him, he plots to finish them off. However, he is returned to normal size, and does not kill any Robinsons. The Robinsons find themselves unable to understand the electronic language of a visiting space family. 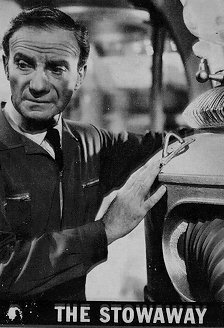 Banished from the Robinson Camp, Dr. Smith takes refuge in the wreck of an alien spaceship, where he finds a machine that can materialize anything one wishes. 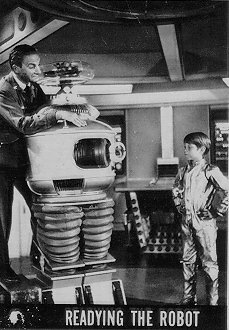 To get the Robinsons to allow him back into the Jupiter 2, he donates the machine to them. It then starts to play on their greed. The machine's original owner, a strange Rubberoid creature, then returns to retreive it. The Robinsons construct a small space craft capable of carrying two people back to Earth. Dr. Smith takes off in it, with Will, but it isn't on the Earth that they land. The Robinsons find a suspended animation test ship with a twenty-year-old dog in it. Then at night, food is being taken off the ship, and growling noises are heard. It's not the dog, however, but a giant, hairy mutant who attacks Judy, until the dog saves her. Giant cyclamen plants, which duplicate anything put into them, make an evil duplicate of Judy, in an attempt to get the Jupiter 2's supply of deutronium fuel. The evil Judy feeds all of the fuel to the plants, while Dr. Smith refuses to tell the Robinsons where the real Judy is. Will is able to use the Tauron's maser device to transport himself back to Earth. However, nobody will believe that he is one of the Robinsons, or that they are shipwrecked. An intergalactic zookeeper comes by, and the Robinsons are suspicious of the way he treats them as specimens, rather than humans, which is true. He decides to add Will and Penny to his menagerie. Hoping to steal the Keeper's ship, Dr. Smith sneaks on board, but accidentally lets all of the animals loose. The Keeper then says that if the Robinsons do not hand over Will and Penny, he will allow the dangerous monsters to overrun the planet. Will is kidnapped, and later befriends Tucker the space pirate, who is being chased by a creature from another galaxy. Dr. Smith throws an explosive into a gaseous bog, creating an invisible, destructive force that threatens the Robinsons. Dr. Smith is convinced that the thing is the spirit of his uncle Thaddeus. While the Robinsons figure out how to capture it, Smith tries to exorcise it. Penny, and her pet Bloop, Debbie (don't ask what a Bloop is! All I know is that it is something like a chimpanzee) fall through an alien mirror into another dimension, onto a planet inhabited by a lonely, nameless boy. An alien and his son come to the Robinsons, and challenge John and Will to a test of strength and courage to prove their superiority over Earthlings. Unknown to the Robinsons, if John and Will win, they will all be killed. When a space merchant attempts to drum up business by destroying the Robinson's food supply, a hungry Smith promises to will his body to the trader in 200 years in exchange for food. Unfortunately, the fine print allows the trader to collect immediately. Smith is selected to be king of an alien civilization, but later finds the reason - the aliens select only the most useless creatures of the Universe, to be sacrificed to their primitive deities. Hoping to get back to Earth, Smith romances the mother of a clan of space hillbillies, unaware that they are growing a crop of plants that feed on animal and human flesh. A space thief entrusts Penny and Smith with a neck-ring that turns anything the wearer touches into platinum. Smith betrays the thief and keeps the ring for himself, then accidentally turns Penny into platinum. 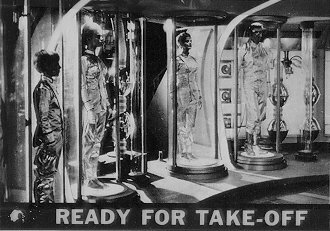 Will returns from a faster-than-light trip into the sixth dimension in an alien spaceship with his intelligence greatly enhanced. Smith, trying to repeat the incident, returns as an old man. Knocked unconscious during a cave-in, John's mind and body are possessed by an alien warrior's spirit. When the rest of the Robinsons become suspicious of John's unusual behavior, he seals them up in the cave, and plots to throw Will off a cliff. Will exorcises the spirit through the power of his love for his father.